I love how certain clothes can actually make look someone 3-5 years younger. Whenever people learn that I'm getting married in a few months they get surprised. So being the young looking that I am, I try to dress up to make myself look and feel younger as well. That's why I love wearing clothes from my favorite brand, SM GTW. This would be my best fitting back to school outfit post. If I was still in school, this would probably be my usual look (minus the heels of course!). I love how the pink color of my SM GTW (Redhead) made me look younger and fresher. I also wore this during our lunch with my fiance's family. This sweet look is so perfect cause Paolo introduced me to some of his relatives that I still haven't met. I love the photos Paolo took. We took this after our sumptous lunch at Duo, The fort. Would you also wear this when your boyfriend takes you to family lunch? 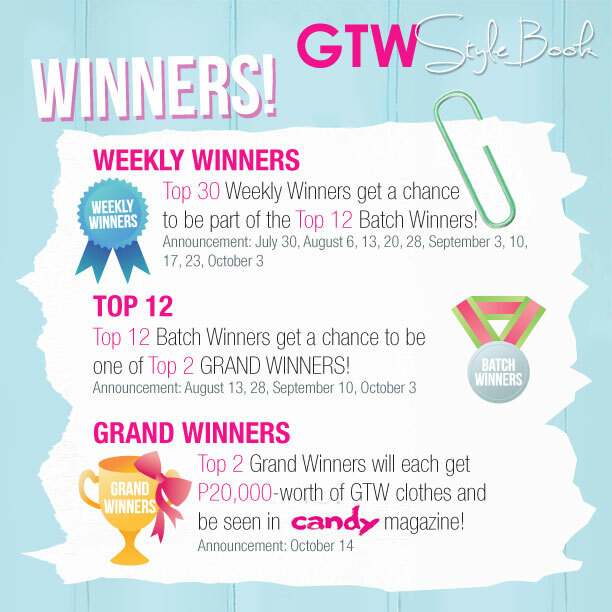 Anyway, if you also love wearing SM GTW clothes like me, here is your chance to to be the next breakthrough fashionista and appear on Candy Magazine by just wearing your favorite SM GTW clothes! SM Girls Teens’ Wear STYLEBOOK, is in search for the ultimate Stylistas—style mavens who have a unique personal style and a flair for everything fashion. If you are a female, 16 to 25 years old, currently residing in the Philippines, and possess the qualities above, then you might be what they’re looking for! From July 13 to September 30, 2013, purchase any regular-priced item worth at least P699.75 from participating fashion brands: Redhead, Betty, Soirée, Shopaholic!, Candie’s, Seventeen, It Girl and Black Sheep found at the Girls Teen’s Wear section at all SM Stores nationwide. Each single-receipt purchase corresponds to a unique registration code, which can be redeemed at booths found inside the Girls Teen’s Wear section. Using your unique code, register online at www.sm-gtw.com. Complete the registration requirements and submit your BEST look—any full-body shot of you wearing at least one (1) SM Girls Teens’ Wear item. All approved entries and the announcement of winners will be posted every week on the SM Girls Teens’ Wear fanpage, so make sure to keep checking for updates! The two Stylebook Grand Winners will be announced and presented to the public during a press launch at the end of the campaign. Each week, there will be three weekly winners who will be part of the Top 30. From the weekly winners, the Top 12 will emerge and compete for the Top 2 spots. Glamorous prizes await the Top 2 winners, including clothing allowance worth P20,000 each, a fashion page in Candy Magazine, and a twelve-month subscription to Candy Magazine. So what are you waiting for? Grab this once-in-a-lifetime opportunity! 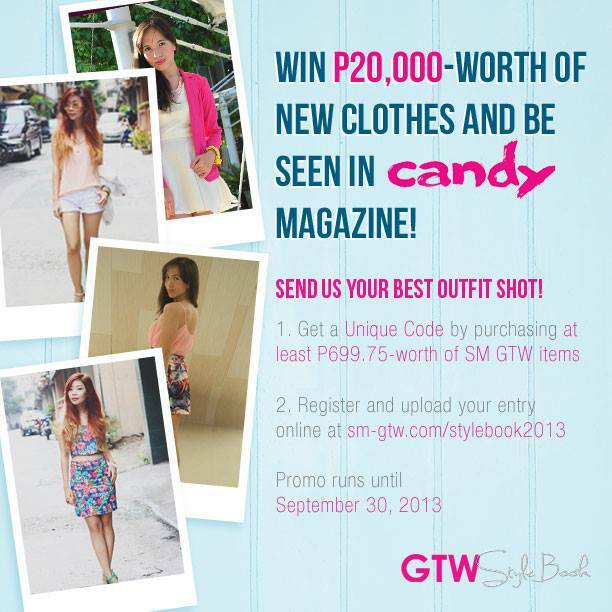 Join now and you just might be part of the next batch of Girls Teens’ Wear Stylistas. For more details and updates, log on to our website, like us on Facebook, and follow us on Twitter. You look like a really young student here. Will ask my cousin to join this contest. Di na ako ubra dyan, di ako kakasya sa pang-teens haha! i so love the bag! looks so classy! Cute backpack, very girly! Wow congrats and advanced best wishes to you on your upcoming marriage! REally nice outfit! I love the backpack you are using! Ohmy~ I have been looking for a backpack like yours no to success. :( Cute outfit! go convince your friends to join as well :) thanks mitch!! got it at claire's :):) thanks!